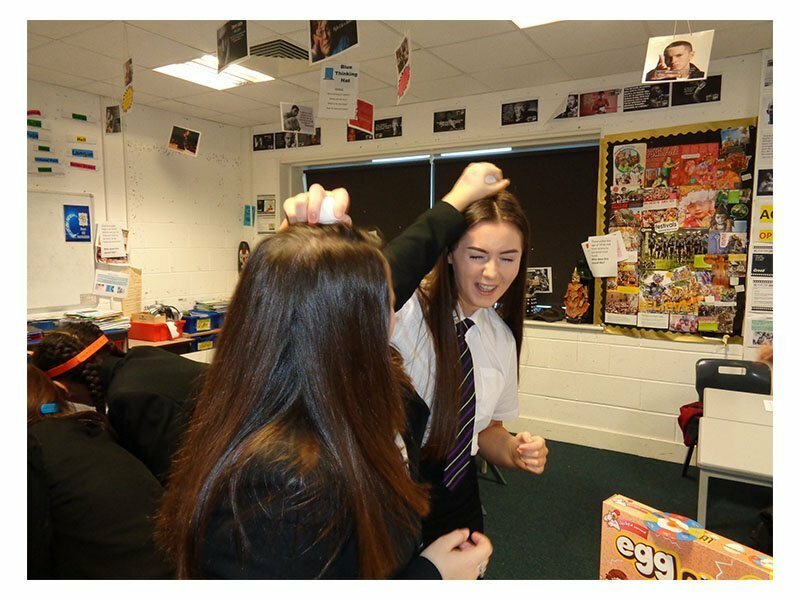 Year 9 Health and Social Care students go back in time and evaluate the games 4-10 year olds play. They had to play the games and evaluate the PIES development the games encourage in children, that’s the physical, intellectual, emotional and social development. The students played Egg splat, Tumble Tower, Beat the flush, Guess who and Hamster race. Can you guess which was the most popular?